These instructions provide a basic understanding of the installation, configuration, usage and essential workings of Enterprise Home Screen, and are recommended for anyone unfamiliar with first-time EHS setup. Please note that everything detailed here also can be automated through a Enterprise Mobile Management (EMM) system and with direct manipulation of the EHS config file, which is documented in the Advanced Settings section. Many of the capabilities of EHS can be accomplished manually on the device, programmatically through EMDK or remotely using StageNow or a third-party EMM system (if supported by that EMM system). EHS simply puts these capabilities into a single, convenient tool. Note: Installation and setup requires that the EHS .apk file be present on a PC or Mac that can communicate with the target device and write to all storage areas. If necessary, please download EHS and establish connectivity between the computer and device. Then resume from here. 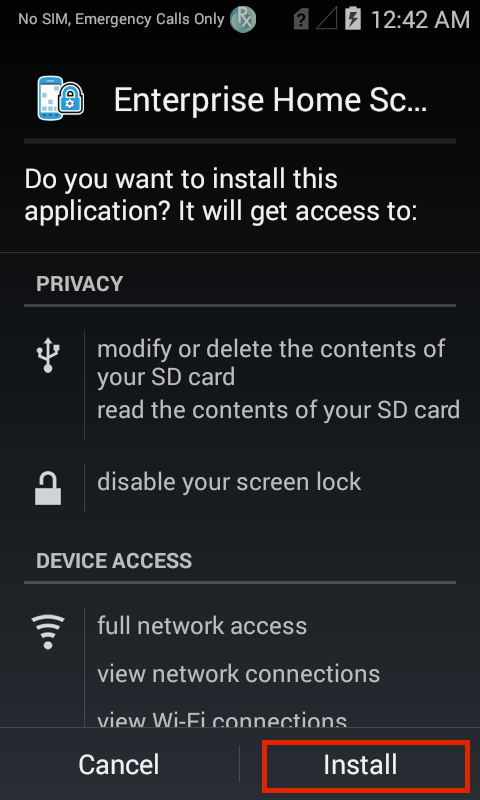 The SD card slot is disabled when a device is in Multi-user Mode. See Special Features section for more information. These instructions apply to direct installation (from a computer to a single device) using the EHS 3.x installer (.apk) file. See the full list of devices supported by EHS v3.1. ABOUT OREO UPGRADES: If the operating system on a device (except TC20/TC25) is being upgraded to Android 8.1 Oreo from Marshmallow or Nougat, the previous EHS installation must be removed before EHS 3.x is installed. Follow instructions to uninstall EHS before installing EHS on an Oreo device. Note: Prior configuration settings, if any, are re-applied automatically. 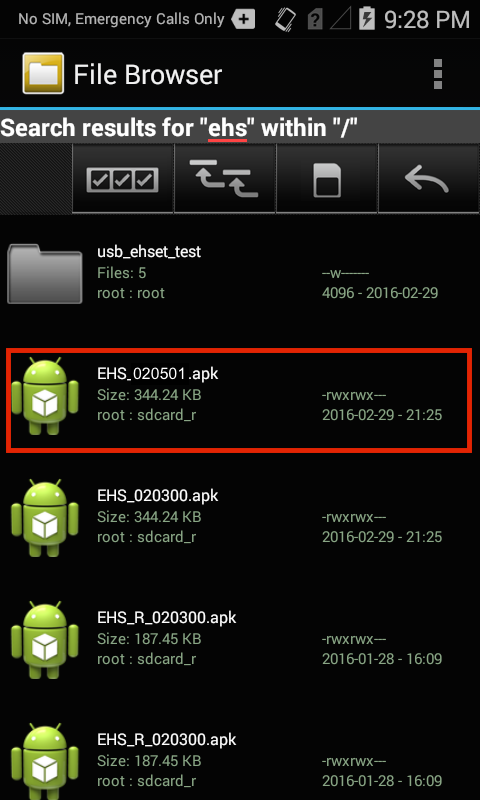 EHS 3.1 DOES NOT support Android 6.x Marshmallow. 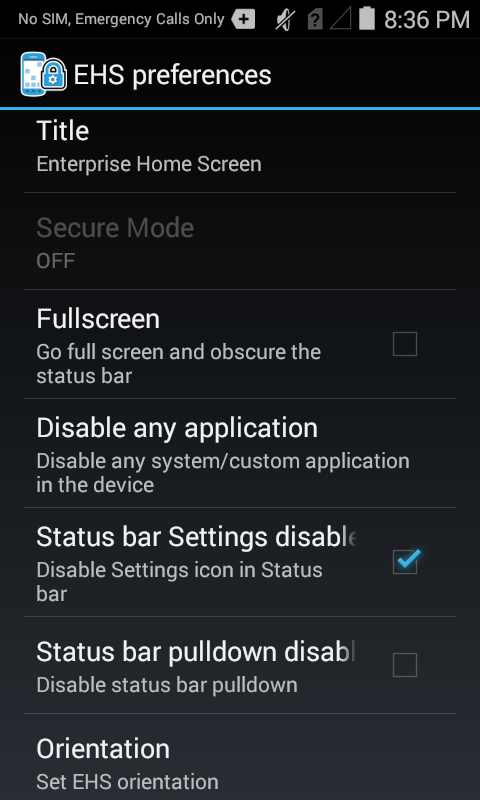 On Oreo devices, Primary user must be active on device when EHS is installed and first launched. 1. Connect the device via USB to a PC or Mac. 2. Copy the .apk file from the PC to any writable device folder. File name of the .apk will match that of the version number being installed. 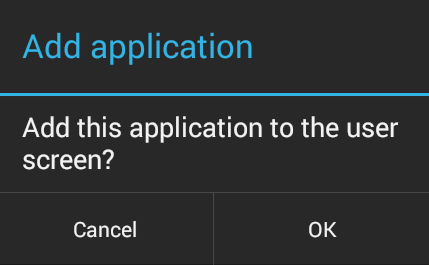 If "Done" was accidentally selected instead of "Open," launch "Enterprise Home Screen" from the App Drawer to proceed. 8. Select Enterprise Home Screen and tap "Just once" for now. 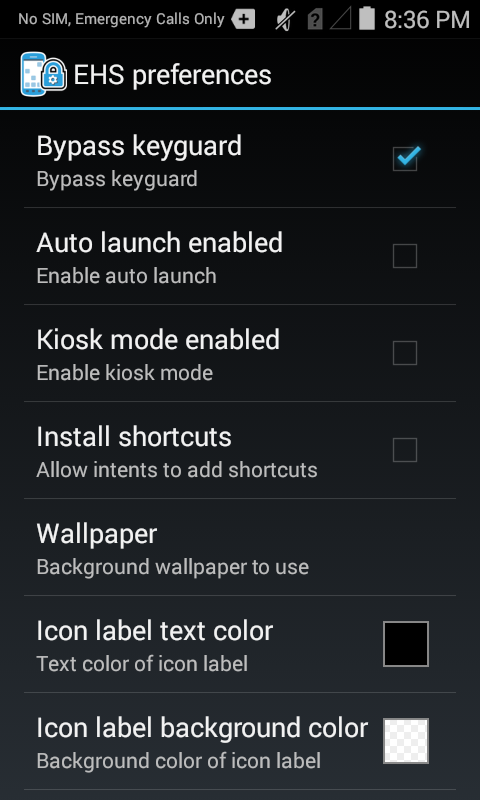 This will allow easy switching between EHS and the Android launcher during setup. This choice will be presented every time the HOME key is tapped until selecting "Always" makes the selection permanent. 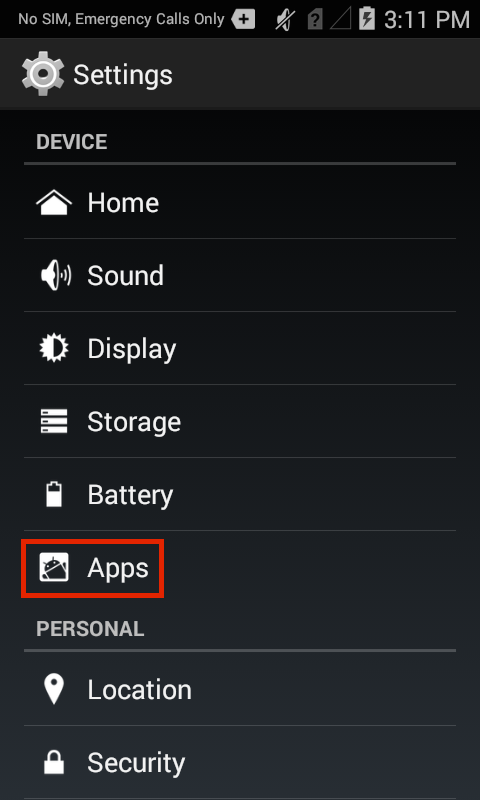 Note: On ET50 and ET55 devices with Google Mobile Services (GMS), the Launcher selection pop-up does not appear when the HOME button is pressed while in User Mode. To avoid this issue, switch to Admin Mode and press the HOME button; the pop-up appears and the default Launcher app can be selected. 9. A restart is required to complete the installation (for first-time EHS installations). Again, a screen like the one above will appear. 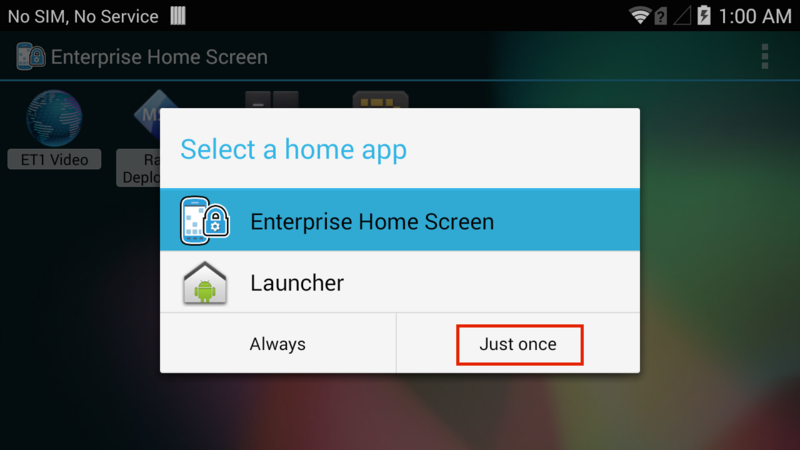 Select Enterprise Home Screen and tap "Just once" to continue or select "Always" to make the selection permanent. To undo this choice, see Change the Default Launcher section below. Note: After selecting "Always," some devices require a 10-second pause before restarting to ensure the change remains persistent. Note: EHS selects apps for display in User Mode from apps installed on the device. All apps intended for use must be installed on the device before proceeding. After hitting OK, the admin version of the Tools menu will be displayed. 12. Tap the BACK button to dismiss the Tools menu. 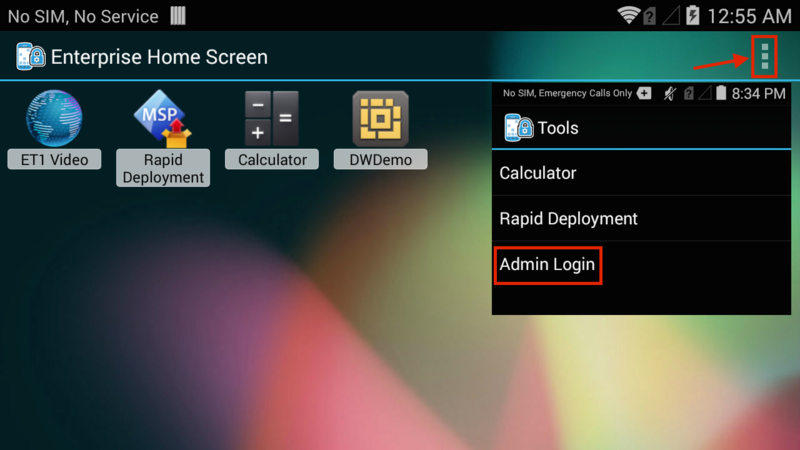 The Admin Mode screen similar to the image below will show all apps installed on the device. Note: If an app intended for use is not displayed, it must be installed before proceeding. 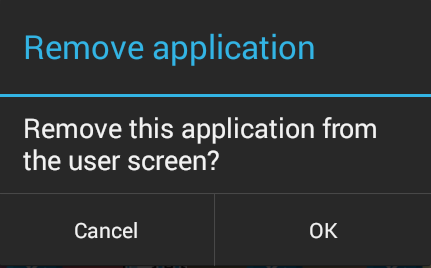 Repeat this step until desired apps are selected for display. To confirm selections, switch between Admin and User Modes by logging in and out of Admin Mode from the Tools menu. EHS provides extensive control over which device settings (such as networking) and resources (such as cameras and the file system) will be available to users when the device is in User Mode. Administrators can allow complete control of all device settings, limit access to just a few settings, or hide device settings completely. For scenarios that require even more security, EHS offers Kiosk mode, which is documented in the Special Features section. For a complete usage reference for the enterprisehomescreen.xml configuration file, please see the Advanced Settings section. These instructions apply to remote installation of EHS, an enterprisehomescreen.xml config file, or both, from an organization's own EMM server to multiple managed devices. Alternatively, remote deployment and management can be accomplished through Zebra's EMDK or StageNow tools using its App Manager Setting Type service. Important: To execute EHS in a device in which a managed profile is enabled, EHS must be installed before configuring the managed profile in the device. ABOUT OREO UPGRADES: If the operating system on a device (except TC20/TC25) is being upgraded to Android 8.1 Oreo from Marshmallow or Nougat, the previous EHS installation must be removed before EHS 3.x is installed. Follow instructions to uninstall EHS before installing EHS on an Oreo device. Prior configuration settings, if any, are re-applied automatically. 1. 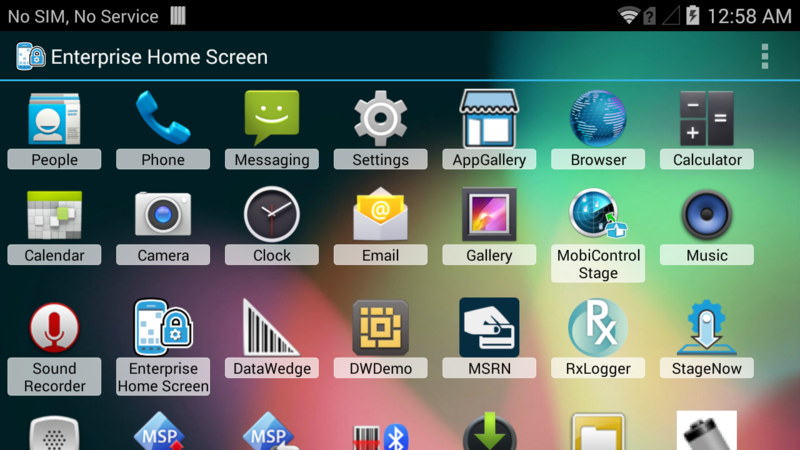 If desired, create an enterprisehomescreen.xml file containing the desired user apps and settings. Otherwise, EHS will be installed with its default settings and apps. See the Advanced Settings section for detailed instructions on the creation and editing of config files. 2. Deploy EHS and the config file (if any) to the device(s). This includes the .apk file and the XML file (if any) created in the previous step. 4. 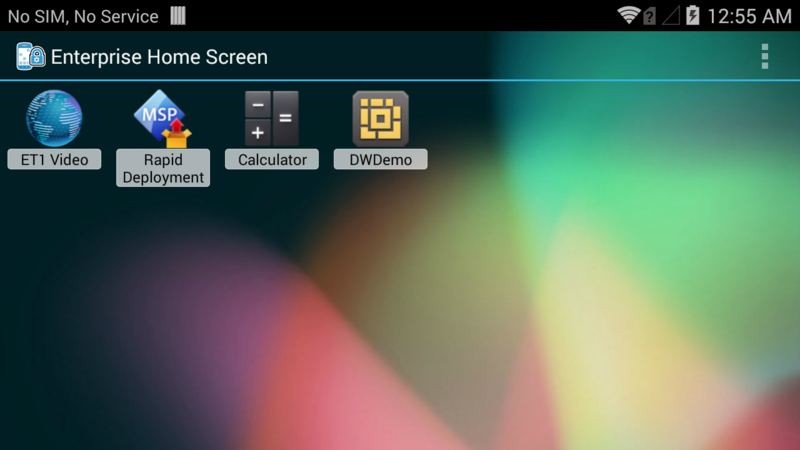 Set Enterprise Home Screen as the default home application on the device. 5. Reboot the device to complete the installation. This is a required step. The capabilities of EMM systems vary. Please refer to the EMM documentation for specific information about how to configure these commands. Note: App installation, uninstallation, setting the default launcher and other operations are possible using the App Manager through Zebra's EMDK or StageNow tools. Important: Device settings configured by EHS such as USB debugging, System Settings Restricted (restricting user access to Airplane mode and other settings), disabling apps and recent apps button and so on, DO NOT revert to their state prior to EHS installation and configuration. All such settings MUST BE REVERSED prior to the removal of EHS. This can be done prior to uninstalling EHS by pushing to the device an enterprisehomescreen.xml file properly configured to unrestrict the settings. 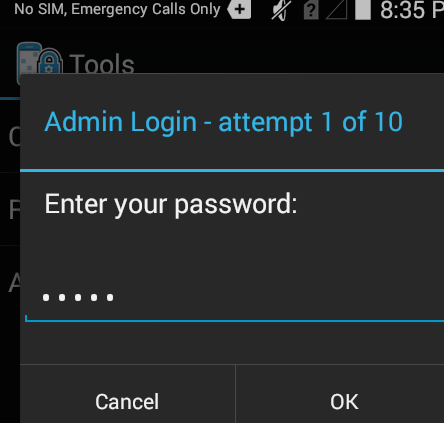 To remove EHS, simply use the Android App Manager to uninstall the EHS app. 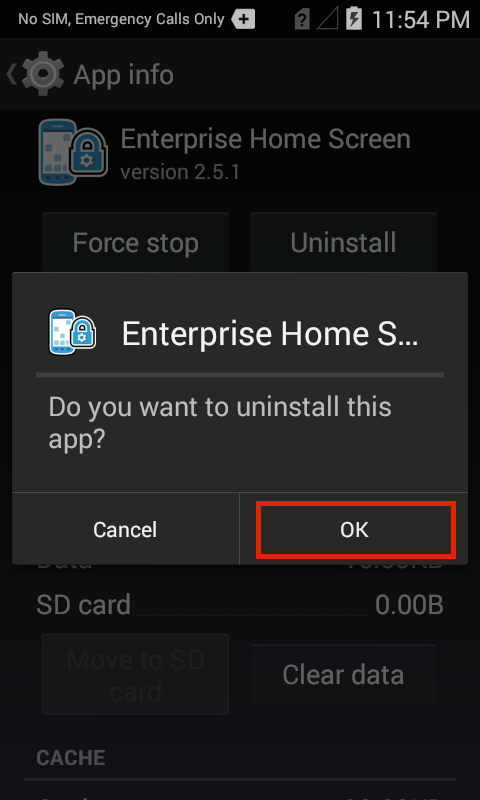 The steps above do not remove the enterprisehomescreen.xml configuration file from the /enterprise/usr folder, which could effect the behavior of EHS versions installed later. 6. Connect the device to a computer with Android Debug Bridge (ADB) installed. Manual uninstallation of EHS is now complete. These instructions apply to remote uninstallation using an organization's own EMM server to remove EHS from multiple managed devices. This task also can be accomplished through Zebra's EMDK or StageNow tools using the App Manager service. IMPORTANT: Device settings configured by EHS such as USB debugging, System Settings Restricted (restricting user access to Airplane mode and other settings), disabling apps and recent apps button and so on, DO NOT revert to their former state when EHS is uninstalled. To restore a device to its former state, all such settings MUST BE REVERSED prior to the removal of EHS. 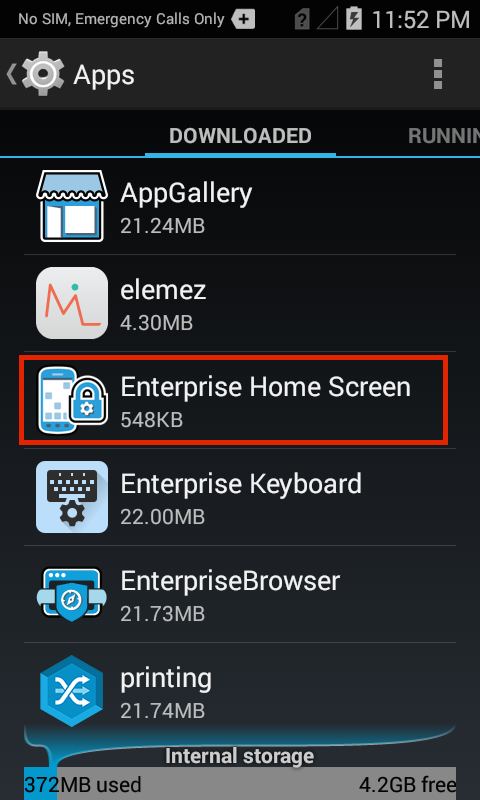 This can be done prior to uninstalling EHS by pushing to the device an enterprisehomescreen.xml file properly configured to unrestrict the settings. CRASH WARNING: On ET50 and ET55 devices with GMS, a permanent system UI crash could occur if EHS is uninstalled remotely (i.e. via EMM) while in User Mode. Before uninstalling EHS, Zebra recommends pushing to the device an EHS configuration file (enterprisehomescreen.xml) with the Search app enabled. See the Advanced Settings section for configuration file usage. 1. Uninstall (remove) the EHS app, referencing the package and activity names as indicated in the table below. 2. OPTIONAL: If a new enterprisehomescreen.xml configuration file will be deployed with the new version of EHS, skip to Step 3. Otherwise, instruct the EMM to remove the file /enterprise/usr/enterprisehomescreen.xml from the device. This will clear configuration settings from the previously installed EHS app. Warning: Do not remove the /enterprise/usr folder; it could effect the behavior of other apps. 3. It is sometimes necessary to reboot the device to complete the uninstallation. Remote uninstallation of EHS is now complete. Note: Capabilities of EMM systems vary. Please refer to the EMM documentation for specific information about command usage. 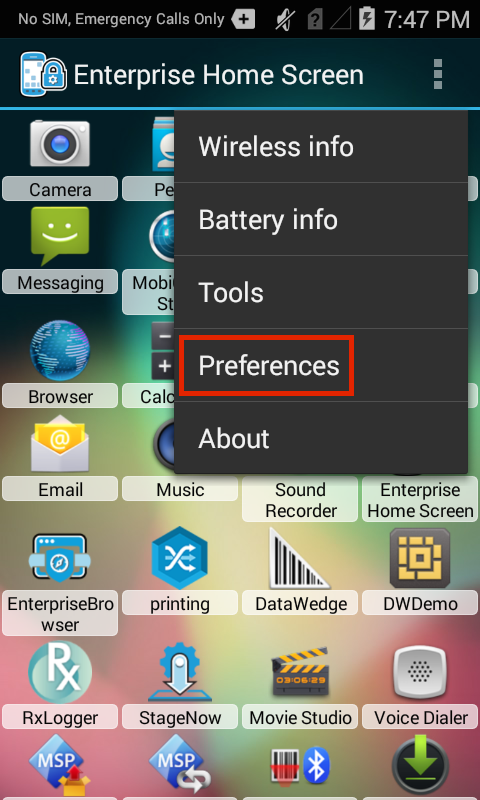 Removing EHS as the default launcher on a device can be done with a simple change in the Settings panel or by uninstalling EHS. Either of these scenarios can be accomplished manually on the device, programmatically through EMDK or remotely using StageNow or an EMM (if supported). If EHS is removed from the device and the Android Launcher is the only remaining launcher on the device, it will become the default launcher. 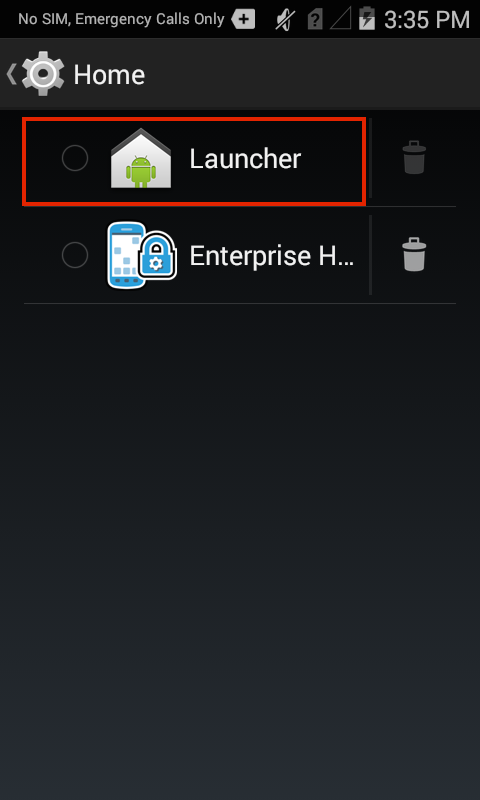 If more than one launcher will remain on the device after EHS is removed, a new default launcher should be selected to ensure desired operation. 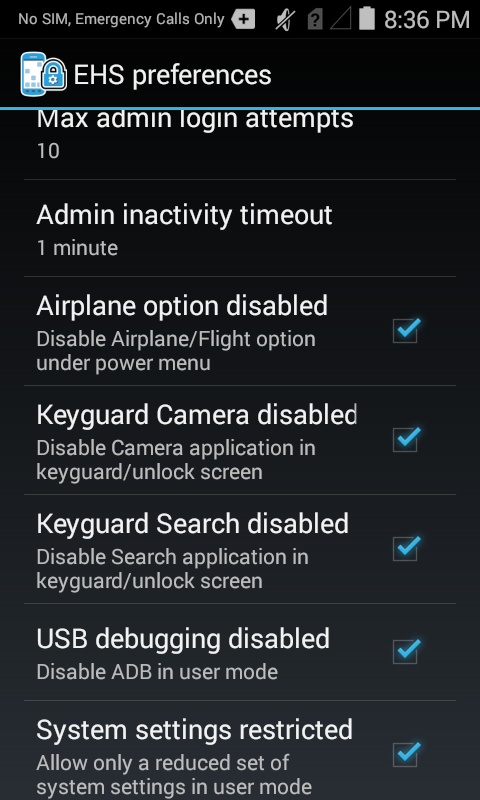 The following process applies only to Android 4.4.3 and higher. 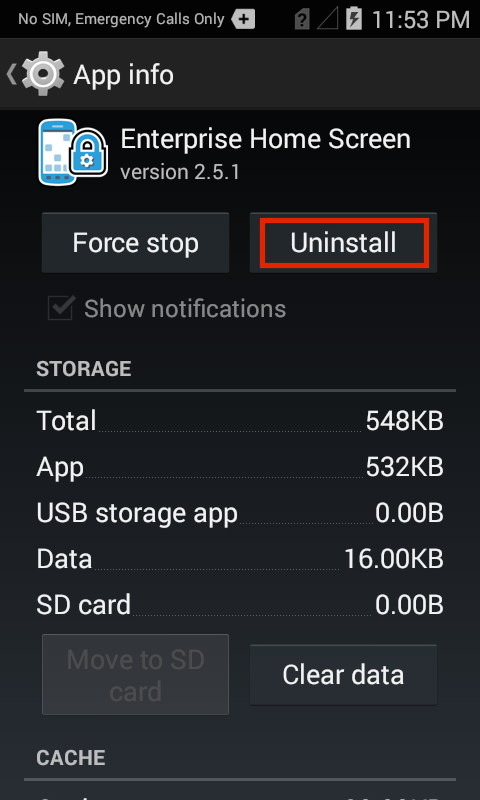 To remove EHS as the default launcher on Android versions prior to 4.4.3, follow the instructions (above) for manually uninstalling EHS using Android App Manager. 2. 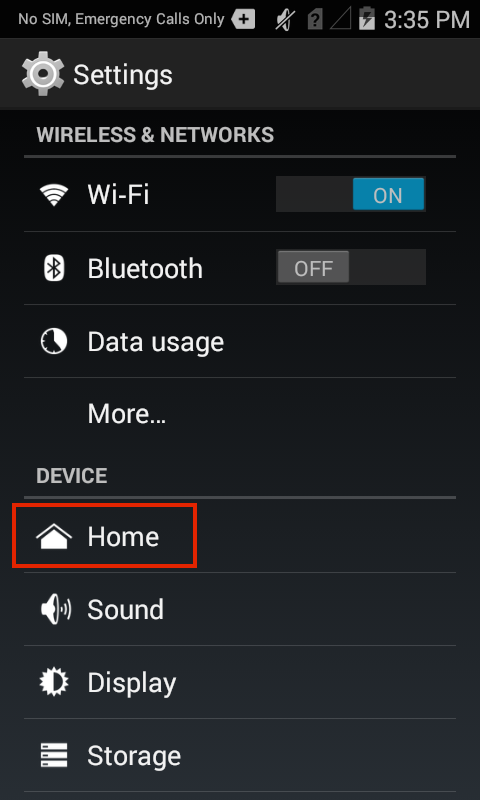 Tap on the Android Launcher to select it as the default launcher and Home screen. 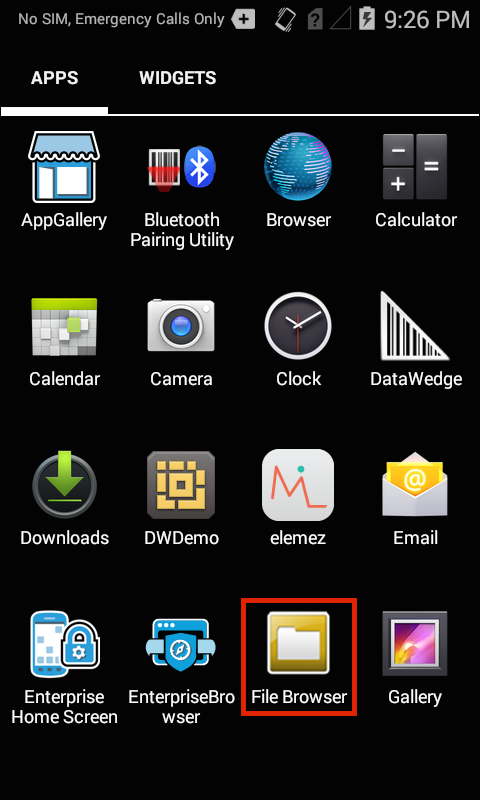 Note: The trash can icon seen here offers an alternative means of uninstalling EHS and restoring the Android Launcher. 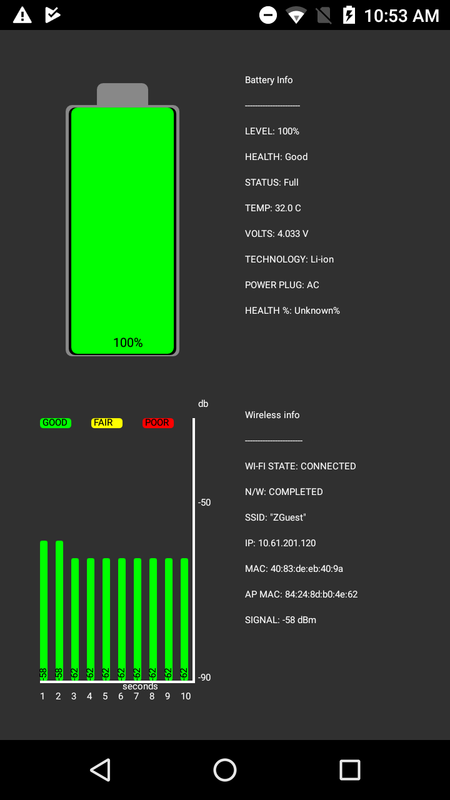 In addition to the separate panels for viewing Battery and Wi-Fi status provided in the menus of Admin- and User-Mode Launcher screens, EHS provides Quick View, an alternate way of accessing real-time status of these critical devices from a single screen. Note: SSID and BSSID information do not appear in the "Wireless Info" or "Battery and Wi-Fi Quick View" screens On devices running Oreo if Location services (Settings -> Security & Location -> Location) are turned off.